The second edition of UPI now enables linking of overdraft accounts to UPI, additional security through QR authentication, and ability to pre-authorise payments scheduled for a later date. The National Payments Corporation of India (NPCI), along with the Reserve Bank of India launched the Unified Payments Interface (UPI) 2.0 today. 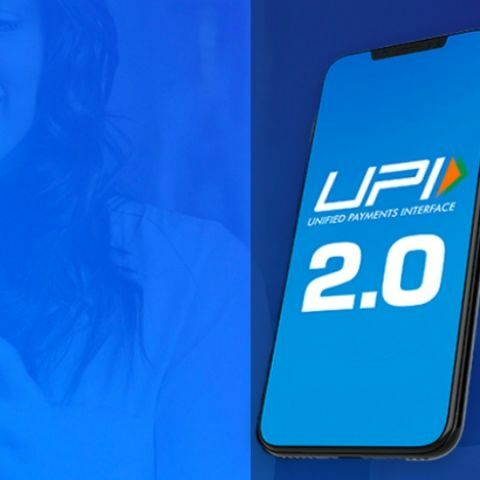 The second version of UPI or UPI 2.0 has been made official after a reported delay of a few months. The digital payments interface has been improved to make online transactions faster and more secure. More than 10 Banks are reported to be participating in the debut run of UPI 2.0. These include state run SBI and other banks such as HDFC Bank, ICICI Bank, and Yes Bank, Axis Bank, IDBI bank, Federal Bank, HSBC, Kotak and more. Additional banks and payment apps are expected to update their digital payment systems to UPI 2.0 withn a span of two months. Since its launch more than two years ago, UPI has become a popular digital payments platform as it takes away the need to feed in account details and relies on virtual IDs to receive as well as fulfill payments. In July 2018 the BHIM UPI platform recorded Rs 45,845 crore worth of digital transactions. PhonePe reportedly has the largest (40%) market share when it comes to UPI transactions, followed by the BHIM app and Paytm. You can now link your over-draft account to UPI which was not available until now. Customers would benefit by getting a digital channel to access over-draft accounts. Linking of overdraft accounts to UPI is said to be instant and transactions will be swift. With this option, while making payment by scanning QR codes, the user will get additional security in the form of signed QR / intent. With the signed QR, issues related to tampering QR as well as having non-verified entities shall be reduced. With this customers will be able to verify the authenticity of the receiver and will be informed if the QR is not secured. Transaction will also be done faster as app passcode will not be required in case of signed intent. With this feature UPI users can pre-authorise (Mandate) a transaction, for debit from their bank accounts at a later time. UPI mandate is to be used in scenarios where money is to be transferred later, however the commitment towards that is to be done now. It is possible that the sender may forget to send money later so UPI 2.0 creates a mandate. The customer's account shall get debited when the mandate is executed. UPI mandate can be executed one time only. Customers will be able to create mandate for payments that are to be done later. NPCI hopes that Ii case of merchant payments/service, it acts as assurance to both the customer as well as merchant. So far when a collect request was sent you could only verify the amount being paid and make the payment post entering the UPI PIN. Now prior to making the payment you will be able to check the invoice being paid via a link and thereby verify the details of the transaction before you pay for the same. This functionality is only available for the invoices of verified merchants. So in short, you will gets to view the bill in the UPI app, verify the details and pay the invoice. Is there any laptop launched by WIPRO?